From adult coloring books to a new novel by Harper Lee, it was a year for unexpected hits and hits that sold well in paper editions. As e-book sales remain stalled at some 25 percent of the market, hardcovers and paperbacks held steady at a time digital has upended the music, film and television industries. According to Nielsen BookScan, which tracks around 85 percent of the print market, sales of paper editions increased modestly in 2015. As of early December, 571 million units had sold, compared to 559 million in 2014. Coloring books for grown-ups, a concept once as out of left field as, say, a second of work of fiction from Lee, were the hottest trend. Led by Johanna Basford's "Lost Ocean" and "Enchanted Forest," the phenomenon understandably caught on almost exclusively in the print format, and Basford has no desire to change that. Numerous apps have been designed for adult coloring, but Basford wants her work "experienced only on paper," according to Penguin Books publisher-senior vice president Patrick Nolan. Simon & Schuster CEO Carolyn Reidy noted the rise of coloring books and of books by YouTube stars, another genre that did especially well in print. "Neither of these categories was a factor before this year," she said. Paper all along has been especially popular for nonfiction and children's books, a tradition upheld for such top 2015 releases as David McCullough's "The Wright Brothers" and Bill O'Reilly's "Killing Reagan." For Jeff Kinney's million-selling, illustrated "Diary of Wimpy Kid: Old School," 95 percent of sales were for print, according to the Abrams imprint Amulet Books. "I'm not surprised that physical book sales of 'Diary of a Wimpy Kid' outstrip e-books by such a wide margin," Kinney wrote in a recent email. "So much of the way kids experience the world these days is through a screen, but we instinctively know that the best way to get kids reading is by placing a book in their hands. E-books have been most successful in adult fiction, with sales for Anthony Doerr's Pulitzer Prize-winning "All the Light We Cannot See" divided equally between print and digital even though there was little difference on Amazon.com between the cost for the hardcover ($15.29) and for the Kindle edition ($13.99). The price gap on Amazon also was small for the hardcover and e-editions for Lee's "Go Set a Watchman," and might have hurt digital sales. 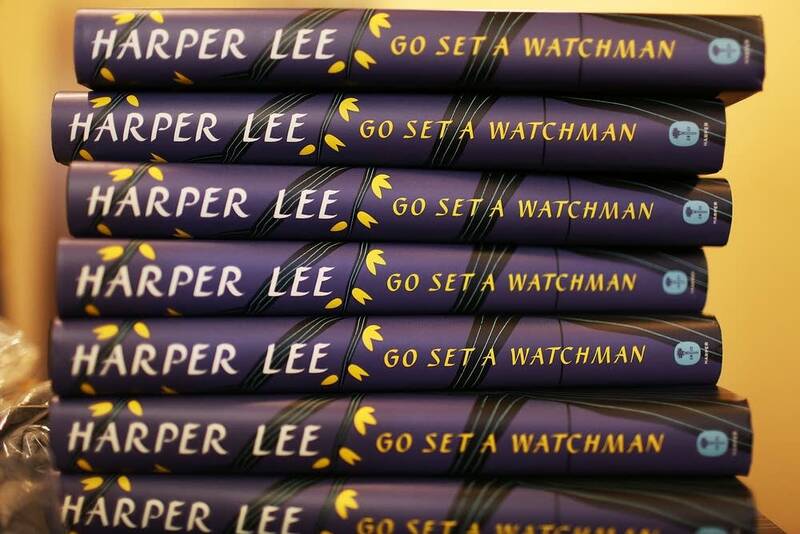 Lee's first work since "To Kill a Mockingbird" not only defied the repulsion of critics by staying on best-seller lists for months, but sold in hardcover by a ratio of 4-to-1 over the e-book. "Possible the historic nature of the publication made people want to own a physical copy," he told the AP. Paper even managed surprisingly well for romance novels, which have thrived as e-books. According to Harlequin's executive vice president for North American marketing, Brent Lewis, the majority of their sales are now from paper editions; before the ratio had been 50-50. Amanda Bergeron, the head of the digital Avon Impulse imprint, also sees improvement for print books. "A lot of people a few years ago got new devices, so like anything that's new and exciting you lean toward that for a period of time," Lewis said. "And that shine has worn off a little bit. Some people have reverted back a bit to paper." Romance author Jennifer Ryan has seen that change herself. She was first published in 2013 through Avon Impulse and by the end of the year her "Saved by the Rancher" series had attracted a substantial following. This year, with her "Montana Men" novels, her work was finally published in paper editions. "When I got into the paperback market and was in bookstores I thought my e-books would outsell my paperbacks because people knew me just through e-books," she said. "But over the last year or so the digital sales have gone down a little and my paperback sales have gone up. I have talked to other author-friends, and they have seen the same thing."